Today at The Star in Sydney, the Australian Academy of Cinema and Television Arts (AACTA) revealed the nominations for the 2nd annual AACTA Awards. 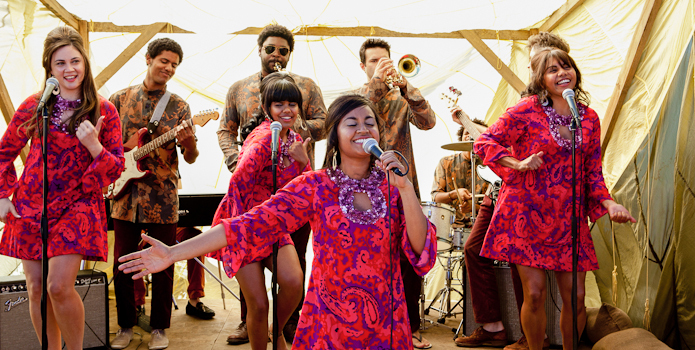 The musical drama The Sapphires led the field. The story about four Aboriginal girls who form a singing group in the 1960s picked up 12 nominations including Best Film, Best Direction (Wayne Blair), Best Lead Actress (Deborah Mailman), Best Lead Actor (Chris O’Dowd) and Best Supporting Actress (Jessica Mauboy). It was followed by Jonathan Teplitzky's Burning Man which picked up 10 nominations. Cate Shortland's Lore and Kieran Darcy-Smith's Wish You Were Here each followed with eight nominations. All three were nominated for Best Film and Best Direction. PJ Hogan’s comedic drama Mental also picked up eight nominations. They included five acting nominations for Best Lead Actress (Toni Collette), Best Supporting Actor (Liev Schreiber) Best Young Actor (Lily Sullivan) and Best Supporting Actress (Rebecca Gibney and Deborah Mailman). The German-language World War II drama Lore is Australia's entry to the Academy Awards for Best Foreign Language Film. Winners for the 2nd AACTA Awards will be announced at two events in Sydney at The Star Event Centre – a luncheon on January 28, and an evening ceremony on January 30, 2013. Gary Waddell. The King Is Dead!